We stock four sizes of round filters: 82mm, 77mm, 58mm, and 52mm, and can send you with step-up rings for other thread sizes. We also stock 4″x4″ square filters and 4×5.65 (Panavision size) rectangular filters for matte boxes. Our ND filter kit includes ND 0.3 (1-stop), ND 0.6 (2-stop), and ND 0.9 (3-stop). 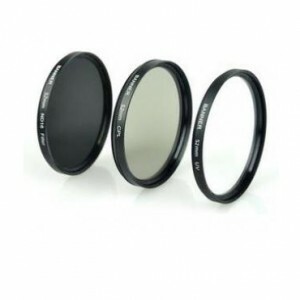 We also have UV, circular polarizer (CPL), ND 1.2 (4-stop) ND 3.0 (10-stop), variable ND, graduated ND, IR (hot mirror) and other specialty filters, as well.